SendGrid’s team of evangelists attends a lot of hackathons, in addition to other events. In turn, they’ve written a lot about hackathons, from both the perspective of a developer hacking and an evangelist working the event. Below, you’ll find some of the best tips they’ve shared recently. Hackathons mean a lot of things to different people. The important thing to remember is that a hackathon happens for the community that attends. Oftentimes it’s organized by that very community it supports. Community is the first of many reasons for a hackathon. How a SendGridder brought a coding event to his home community. As hackathons became more popular, they became larger, more corporate events. These tales of more intimate affairs show how small hackathons can be big wins. A few friends and a Meetup listing becomes a New Year’s event. A small event in Spokane focused on learning, not winning. Along with bigger events comes higher costs. The price of these giant showcases are footed by the sponsors, but not all of these companies have immensely deep pockets. That becomes a problem if the hands-on sponsors start to look elsewhere. Have inclusive tiers and offer extra perks as an add-on. 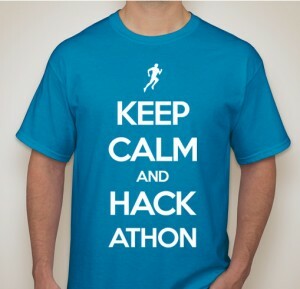 Huge, revenue-generating hackathon events turn off those providing the most value. No matter how long the hackathon, it’s a very concentrated dosage of time. The teams need to get a lot done in a very short period of time. Look to these shortcuts to get you farther faster. A template for a cross-platform mobile app. Your first native iPhone app at a hackathon? Start here. What’s in Your Hackathon Toolbox? Your hackathon success begins with proper preparation. If you’re attending multiple hackathons per month, you’re probably traveling a lot. That means airports, hotels and taxis are your home away from home. These posts give a feel for what that’s like. You know no two days are alike, but this is as close to typical as it gets. Our evangelist friends share what they bring on the road. To succeed at a hackathon requires an excellent demo of a product that is as finished as possible. These posts help you think about putting real effort into the communication of what you’ve built, as well as some ideas for making your hack demo-ready with the minimum effort. Whether evangelist or attendee, doing your best requires great communication. Winning isn’t everything, but read this anyway. Even if you aren’t at a hackathon, there are opportunities all around you to work with other developers. In an earlier post the developer relations team shared their tips to embrace your developer community.